In the English dub of Shenmue II, there’s a part where Ryo is approached by a child I believe working for Master Li Shao Tao. She asks Ryo if she wants tea she just made, because he’s working on moving books out into the open to air them out, and he accepts. A bit after that, Ryo tells her that she looks like the cat from Shenmue I, the one the player could raise near Ryo’s house. She takes some pretty hard offense to this, and “blah!”s at Ryo in defiance. I was wondering if there was some part of this that was lost in the translation. As far as I can tell, westerners, at least Americans anyway, don’t take offense to being compared to cats, and most people view it as a compliment. 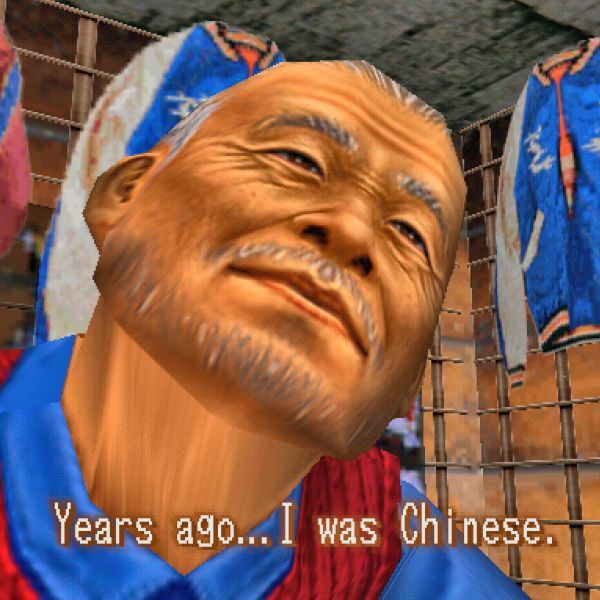 Shenmue II is a Japanese developed game taking place in China, more specifically Hong Kong (for the first half anyway), translated first into English subtitles for the European Dreamcast release, and then dubbed into English for the Xbox port. I believe there are some minor differences in the sub version vs the dub version, but the only difference I can note is that she screeches at him instead of saying “blah!” in the sub version. Girl: Thanks for your hard work! Girl: You must be tired! Girl: You must be tired! Ryo: Hmm? Ryo: Huh? Ryo: ? Girl: How about some tea? Girl: How about some tea? Girl: How about some tea? Ryo: Thanks. Ryo: Thanks. Ryo: Thanks. Girl: How does it taste? Girl: How do you like it? Girl: How do you like it? Ryo: It’s good. Ryo: It’s good. Ryo: It’s good. Girl: I’m glad! Girl: Good! Girl: Good! Girl: How about another cup?! Girl: How about another cup? Girl: How about another cup? Ryo: No, thank you. Ryo: No, it’s okay. Thank you. Ryo: No, it’s okay. Thank you. Ryo: Well… just one more, then. Ryo: Well… just one more. Ryo: Well… just one more. Girl: Okay! Girl: Sure! Girl: Sure! Girl: Huh? Wh-what is it? Girl: I-Is something wrong? Girl: I-Is something wrong? Girl: Oh? I look like someone? Girl: I look like someone? Girl: I look like someone? Girl: Who? Girl: Who? Girl: Who? Ryo: … A cat. Ryo: … A cat. Ryo: A cat. Girl: That’s horrible! I’m not a cat, you know! Girl: You! You’re saying that I look like a cat! Girl: You! You’re saying that I look like a cat! Girl: Same thing! Whatever! Girl: Same thing. Thanks a lot! Girl: Same thing. Thanks a lot! Girl: Blehhhh to you! Blahhhh! Blahhhh! So as we can see, the text is pretty much the same as it is in Japanese – she doesn’t get upset in Japanese for a different reason; the dialogue didn’t get changed in localization. The question then, is: why does she get so upset when Ryo compares her to a cat? I haven’t played the Shenmue games (although I’ve seen many bits and pieces) so I don’t know the full context here. My first instinct is that maybe the girl was fond of Ryo, but gets upset when he only sees her as a cat. It seems logical to me, but again, I don’t know enough about the game to say much. Another wild guess might be that maybe being called a cat in China is insulting, but I have no expertise when it comes to that. Regardless, comparing someone to an animal probably isn’t the most tactful thing to do, so maybe that’s what has the girl upset. As Kaitlyn mentioned, being compared to a cat isn’t necessarily a bad thing in Western culture, but maybe it is here in China. I don’t know – your guess is probably as good as mine at this point! If anyone has any insight or more context, please share in the comments! I’m hoping someone might be able to shed more light on this! If you enjoyed this article and know someone else who's a Shenmue fan, I hope you'll tell them about it. 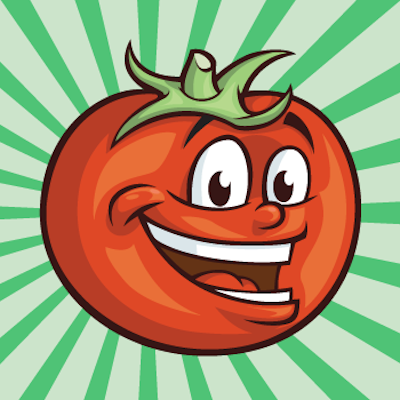 There's all kinds of stuff on this site that fans probably would enjoy! Awesome! You finally posted an article again after a LONG wait. Been too busy these past few months? Anyways, never played Shenmue but I read that it’s amazing. Right? I actually found the site on like Dec 13th, right before the last update. Glad to see it is still ALIVE! My first thought is that “eyes of a cat” is somewhat often used to describe someone who has a troublemaker look at best, at worst a look that makes them seem flat-out deceitful and untrustworthy. Think “eye of a fox” is used more often, but I’ve heard cat use more than once. I thought this side was dead. They mostly do Twitch streams now. Their Twitch streams are frustrating if you can’t catch them live and have to watch on Youtube. A lot of times Poe will start talking to someone in the chat, then suddenly a trivia question will pop up so you can’t see what they’re saying. So did I. Glad to see another article, even though it’s on a game i’ve never played. The explanation is probably “a little from column A, a little from column B.” Fangmei Xun (the girl) has a crush on Ryo, and there’s even an obscure side-quest where she ends up admitting her feelings to Ryo on her birthday. Fangmei likely thought, when Ryo told her that she reminded him of someone, that he would say something romantic (e.g. “You remind me of someone I cared deeply about”), so she was taken aback when he compared her to a kitten that he used to feed (in Shenmue 1). As for the cultural insult part, I couldn’t find anything specific. The first thing that came to mind was the Chinese Zodiac story, but in most interpretations, it was the Rat that was a jerk, not the Cat. There was one thing… but I don’t know whether or not it is widely-believed: a superstition that Cats can see evil spirits, and it’s considered bad luck to let a Cat enter a house as a result. Since there isn’t anything culture-specific (that I know of), maybe Fangmei thought Ryo was comparing her to some (as far as she knew) mangy stray cat. There is no cat in the Chinese Zodiac. That sorta reinforces his point. Instead of some random stray cat, you get associated with *tigers*. Right, that’s the point. The Rat was a jerk, and caused the Cat (who was also trying to join the zodiac) to fail in some manner, depending on the story. I think it’s just that she’s insulted being compared to an animal. My first thought was that she might have assumed Ryo was comparing her to a nekomata ( https://en.wikipedia.org/wiki/Nekomata ), but, upon reflection, I think Zero-Crescent is probably right, and we’re all overthinking it. Most likely she was dissapointed because she expected Ryo to say something romantic, and he just told her she looked like a cat he used to have. Maybe because cats are thought of as lazy freeloaders? It’s funny though; in Angel Links, Meifon (being raised Chinese, no spoilers) told her grandfather that she would like to be reincarnated as a cat after she dies so she can have a lot to eat. Or it could simply be the fact the girl may not like cats. Maybe it has something to do with that phrase dorobo neko, theiving cat is the translation I always see but I always thought of it as being a home wrecker. They were just drinking tea, and tea is often scalding hot… no, too much of a stretch. I’ll just assume that whoever wrote this thought, “it is offensive to compare humans to dumb animals”, but didn’t know when such a response is appropriate. Maybe if you do a Custom Robo entry we’ll finally get a sequel to that too. Shenmue entry! Love this game so much. Cats aren’t necessarily insulting in China, though maybe there’s something to it in Hong Kong where the game takes place. Though it doesn’t fit with the conversation, cat has a similar sound to Mao Zedong’s last name in Chinese (that’s why he’s frequently depicted as a cat in parodies). He wouldn’t be a very popular person in 1980s Hong Kong， but as far as I can tell that doesn’t work as much in Cantonese. The only other thing I can think of is that animals in Chinese, traditionally, are less than people. They get their own form of it that denotes they are an animal, no gender. As for the Shenmue thing, I think it´s probably overthinking, to assume that there is some cultural hate against cats. If you are drinking tea together with a person you admire and all that he has to say is that you look like an animal he fed, you would probably be a little confused. Adding that she is a child, she got angry because of that and just said what she was feeling. That’s because you would never say it like that. Despite Japanese being a language about trapping people in politeness, there are some very common terse things to say.